Norfolk libraries are asking borrowers to bear with them whilst they upgrade their computerised lending system. 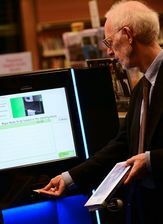 The new system will be more efficient, cost effective and deliver library users with a much improved, faster service, particularly for those using it online. Most users will be unaware of the upgrade but some online services may be interrupted for short periods in late March. To ensure customers don’t incur overdue charges should the system be unavailable, books will be loaned out for a longer period than usual while we change over. Lesbian, gay, bi and trans (LGBT) people often have just what it takes to be a new family for a child to thrive in. 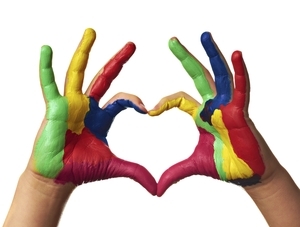 Find out about the children who need families, the process, and how adoption and fostering has changed the lives of other LGBT people at our information event on 6 March. Norfolk Youth Parliament – You decide! Young people can vote for their favourite Youth Parliament candidate during the 10 – 16 March. If you’re aged between 11 – 19 then vote for FREE by text and have your voice heard. Find out about the candidates here. Is your two-year-old eligible for free childcare? Up to 15 hours a week free childcare for two-year-olds is available if you receive certain benefits. And now families receiving working tax credit with an income of less than £16,190 are also eligible. To find out more and apply for a free place visit www.norfolk.gov.uk/take2 or ask at your local children’s centre. We know that many of you are already active in your community and that others are interested in becoming more involved. Please help us build up a picture of community life in Norfolk by taking part in our online survey. The law is changing to improve the support available to children and young people with Special Educational Needs and Disabilities (SEND). To hear more, come along to the Family Voice Norfolk Conference on 15 March. www.familyvoice.org.uk. 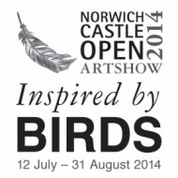 You are invited to submit work for the fourth Norwich Castle Open Art Show "Inspired by Birds". The closing date for submissions is 7 March 2014. Click here for more information or here to fill in an entry form. 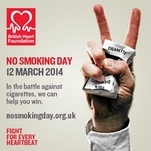 If you’re thinking of giving up for national No Smoking Day on March 12, but need a bit of support to get going, why not contact the stop smoking service (Gt Yarmouth area) or Smokefree Norfolk (rest of Norfolk)? You’re four times more likely to quit with professional support, so get in touch today. Both services are funded by Public Health Norfolk.